We are able to write text from ‘Happy Birthday’ followed by the guest of honours name to ‘Congratulations’ as well as your full company name, logo or shape to suit your event. 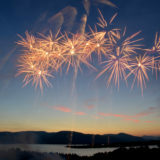 This can be fired at a particular time during your event to mark a special moment or to surprise a guest. We have also built scale models of animals and one of the Stephenson Lighthouses to celebrate the 200th Anniversary. We can create any shape, any colour and any size of writing or logo to suit you whether it be for a small private event to a corporate celebration or large scale nation gathering. We can even change colour with some of our products as they burn. 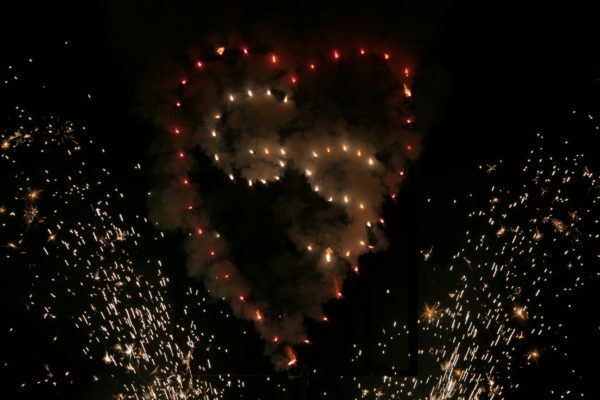 Fireworks at a wedding or event are a magical touch but it can be made even more special by adding a ‘lance’ firework that spells out your initials encased in a heart. This is a bespoke set piece just for you. It is a fabulous static set piece that sits above ground level. It burns for 60 seconds on a large frame. Unique and very memorable. If you have a special message that you would like to share with someone, we can write it for you in fireworks! Anything from ‘welcome home’, ‘Happy Birthday’ or even ‘will you marry me?’. Our creative team will work with you to produce the effect that works best for your event. Imagine seeing the faces of your client or co-workers as your full company logo or slogan appears in fireworks at the end of your speech, display or the end of your event! If you know that you want to add a special touch to your event but you are not sure what is possible, feel free to contact one of our events team and we shall respond with plenty of ideas to suit your requirements. 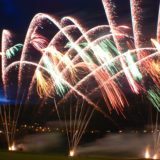 A professional fireworks display to music by 21CC Fireworks is extremely thrilling with lots of crescendos and huge aerial sky bursts. We design the show to be a powerful combination of the very best from the music and our aerial display shells creating an atmosphere exploding with emotion and excitement. 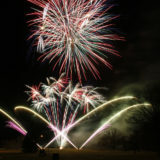 At 21CC Fireworks Ltd we have a special range of low noise fireworks as well as the multiple sky bursts and impressively colourful and loud explosions. Our low noise fireworks are absolutely beautiful. 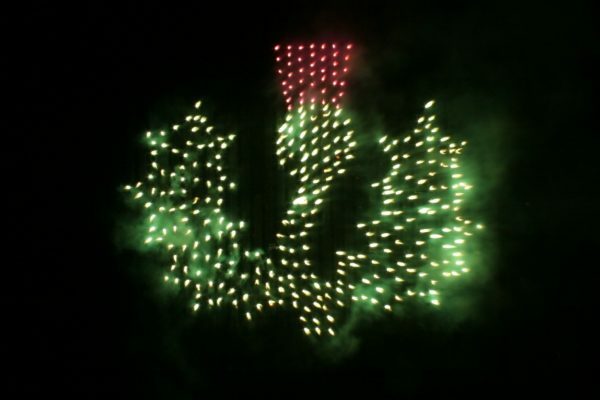 They can be choreographed to form a low noise fireworks display where noise restrictions are imposed. 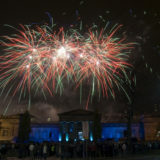 Having a city centre fireworks display by 21CC Fireworks can really enhance the visual impact of your show. Whether it is a private event at a hotel, a waterside festival, a local authority building rooftop display, a building launch or a large national event from a city centre landmark or monument, our experienced team is here to help. 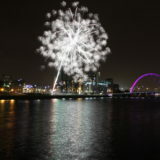 There is something magical about having your professional fireworks display over water whether it be on a barge, pontoon, trailer, island, bridge, dock or pier. The reflections in the water can really enhance the overall effect of the fireworks in the sky. If your event is going to conclude before the sun sets, we can fill the sky with a specially designed product that will cut through the daylight, filling the sky in spectacular style. Daytime fireworks are perfect for all kinds of events such as sports events, community events or any events that happen during daytime. You can mix this kind of fireworks with a mix of pyrotechnic effects to give your guests an experience that they will remember. 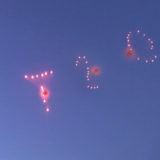 And now for something really special… how about having our big sky writing shells spell out text in the sky! With enough notice, everything is possible! 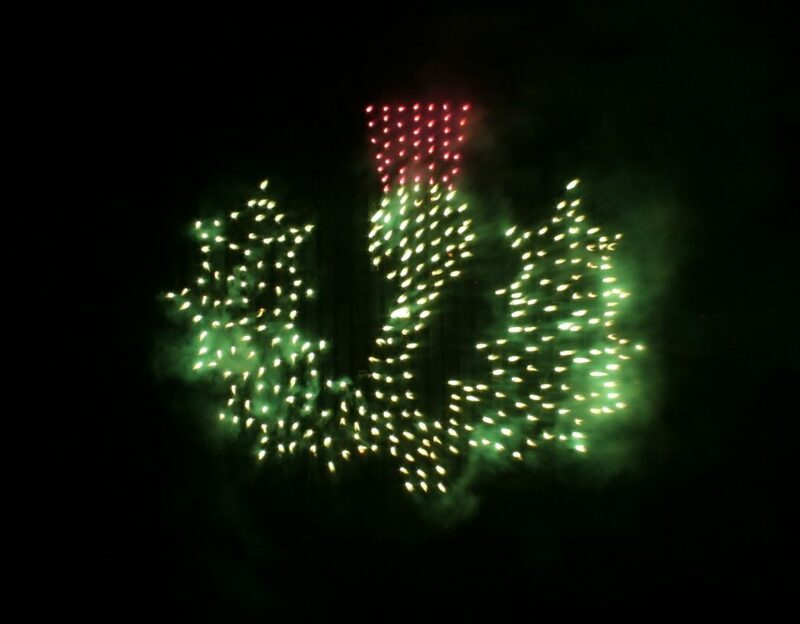 We were even able to create a spectacular ‘T 2 0′ in the sky at around 600 feet for T in the Park’s 20th Anniversary festival. 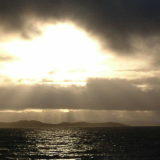 Our ash scattering is a unique and memorable way to send off a very special person. Over the last number of years, we have worked with lots of families who have wanted to have a special dispersal of their deceased’s ashes. The small love heart lancework set pieces start from just £195. The large logo frames can be northwards of £1500. Budgets are bespoke to each client’s requirements and the size of frame and effect. We would be delighted to discuss your requirements with you. All of our services include our £10,000,000 insurances, risk assessments, show design, professionally trained and experienced crew, firing and clear up. This is all part of the service from 21cc Fireworks.